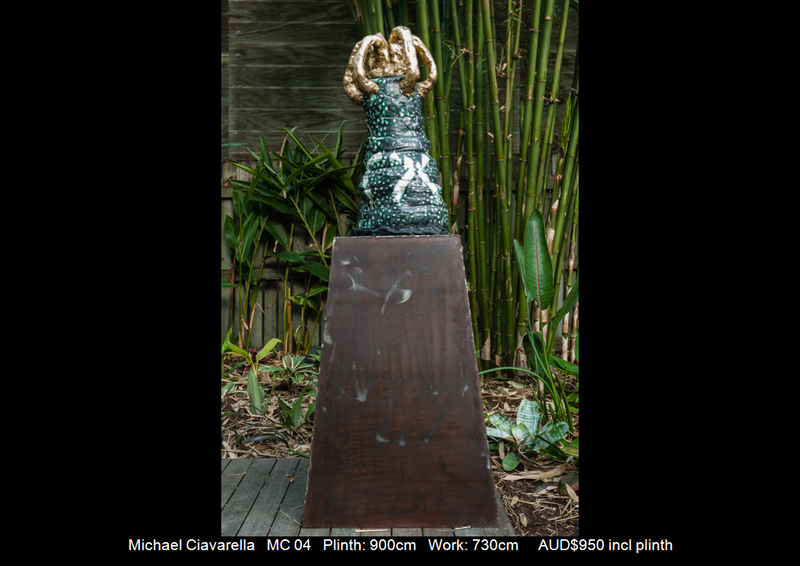 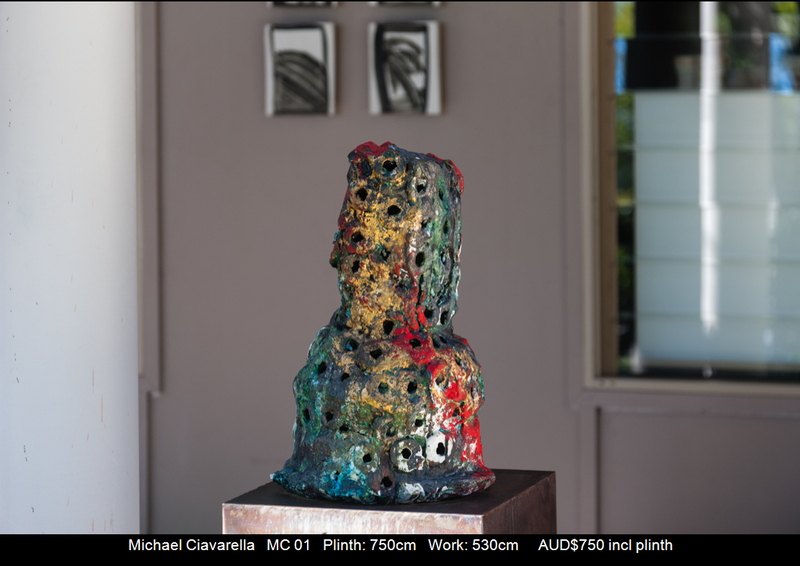 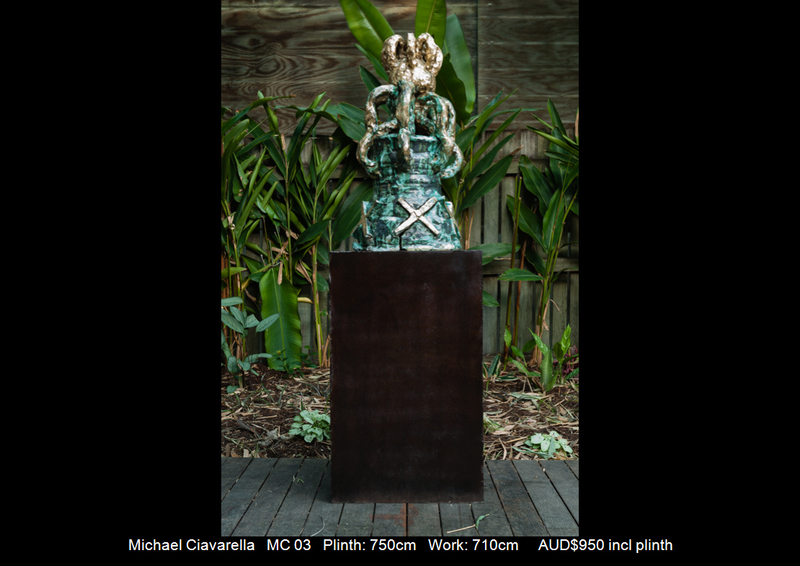 Michael Ciavarella is a Sunshine Coast based artist who has always been interested in the materiality of clay. 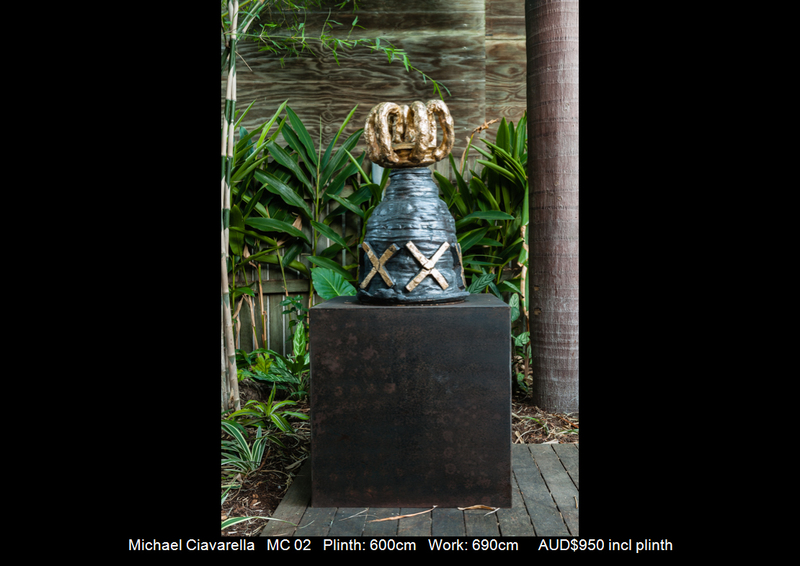 Michael has a robust and direct approach to throwing the base form, then further manipulating the form with additions and surface marking. 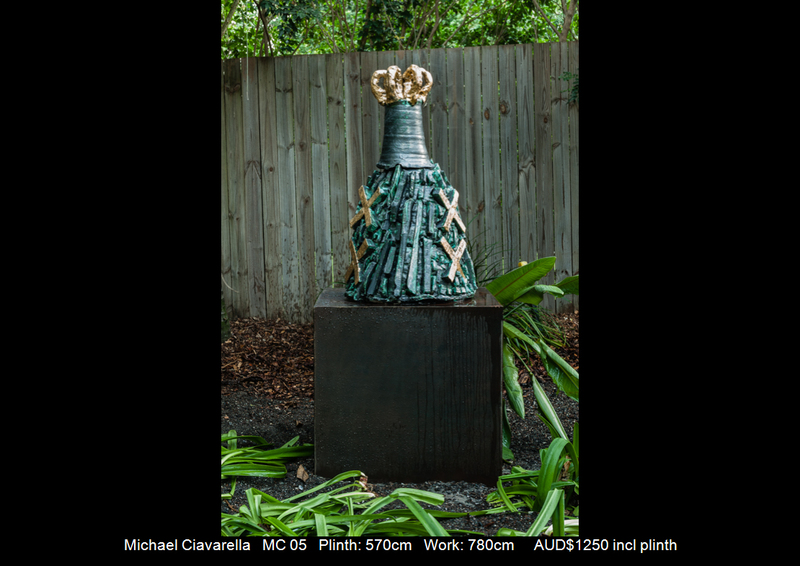 The final flourish is using gold leaf as the 'crowning' technique.